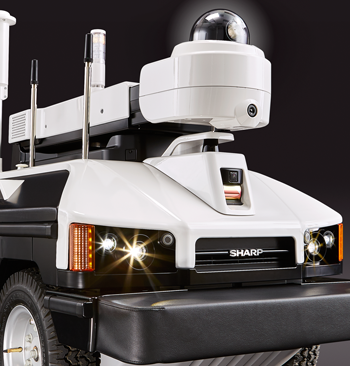 PALM SPRINGS, Calif., April 21, 2017 /PRNewswire/ HARDCAR Security, in cooperation with Sharp Robotics Business Development (SRBD), a division of Sharp Electronics Corporation (SEC), will host an exclusive Lunch & Learn event to showcase the Sharp INTELLOSAutomated Unmanned Ground Vehicle (A-UGV). The private event will be held Tuesday, April 25th stfrom noon to 2:00PM at the Miracle Springs Spa. Headquartered in Palm Springs, CA, HARDCAR is a pioneer in license compliance through advanced technology like Descrete, driver detection in Armored transport of cash and services, hidden weapon detection systems, cybersecurity, technology integration with robotics, Artificial Intelligence and advanced threat detection. It is the first authorized dealer and integrator of Sharp's security robot in the cannabis space. Sharp Electronics has been innovating for over 100 years with best-in-class engineering and quality manufacturing. They have a safety first approach to all they do and apply efficient product design to an array of solutions across many industries. Their entry into robotics for security is no exception. HARDCAR Security, is a proven leader in the convergence of IT, Robotics, Armored Transport of product and Cash, Cybersecurity and Security technologies. The company is one of the largest providers of IT related solutions in the growing Cannabis industry. HARDCAR's main focus is on keeping clients safe with the highest level of security innovation. For more information, visit www.hardcarsecurity.com. To find out more about Sharp's robot for security, visit SharpINTELLOS.com.